The Utsav closet is all set and updated with fashion forward ensembles that you definitely shouldn’t miss out on. Check out our favourite finds that will make you the talk of trend town! 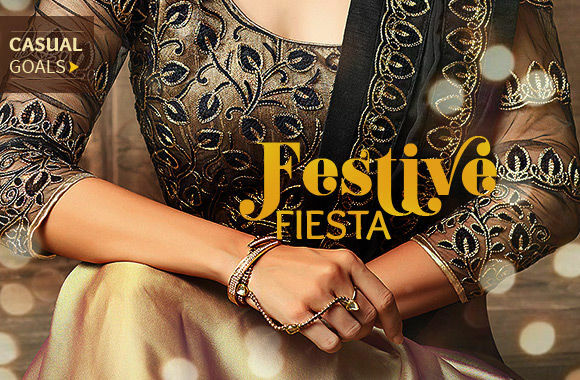 Festivities are in full swing and you are in desperate need of a wardrobe that gives you style so ladies start choosing from the lineup here. 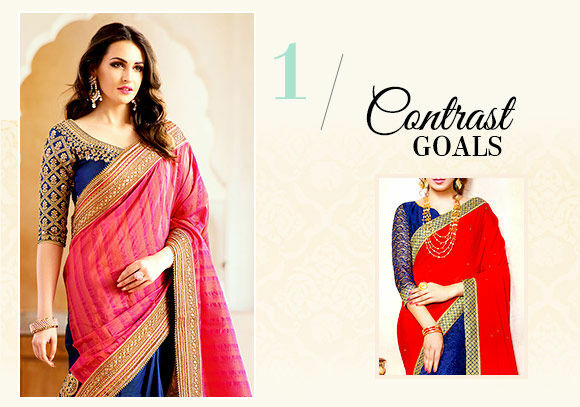 The season belongs to contemporary Half-n-Half Sarees that come in georgette, satin, art silk and chiffon. The lovely color contrasts and work make it a showstopper. 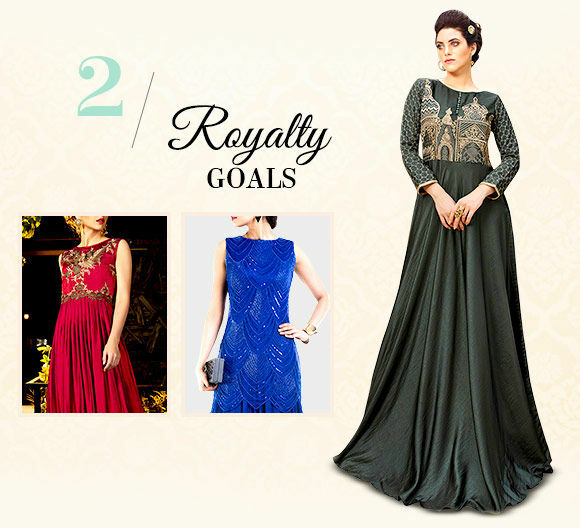 The princess' attire with its regal fall, majestic flare and lovely embroidery is easily the most on-trend and loved. Pick your party favorites in Art Silk, Georgette, Satin and Net. Flower power wins the day. 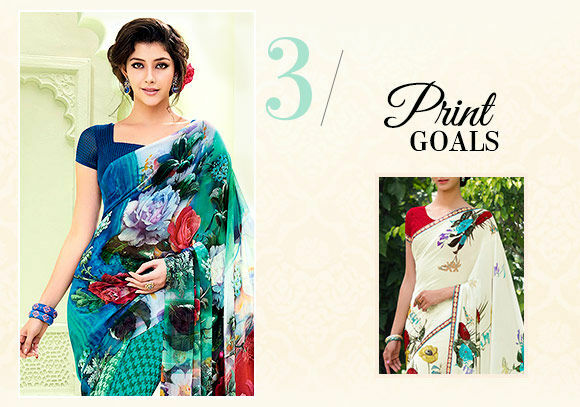 From roses on georgette Sarees to petals on art silk Kurtas, get Floral Prints on a whole range of stylish ensembles in pastel and dark hues. 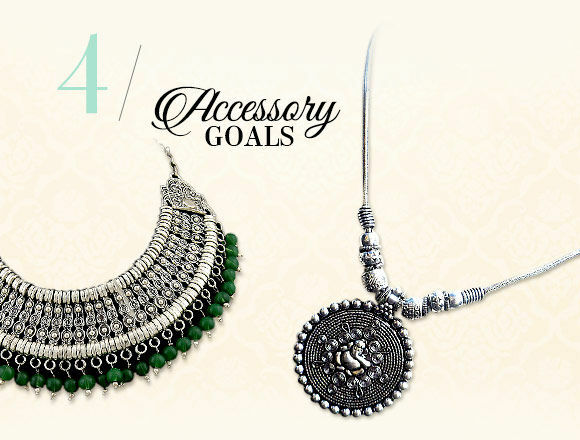 The rustic appeal of Tribal Jewelry is holding sway this Diwali. Make your point in Oxidized Earrings, Neckpieces, Bangles and more, all with inricate craftsmanship on metal. Indo Western Kurtas prove that subtle can be beautiful. 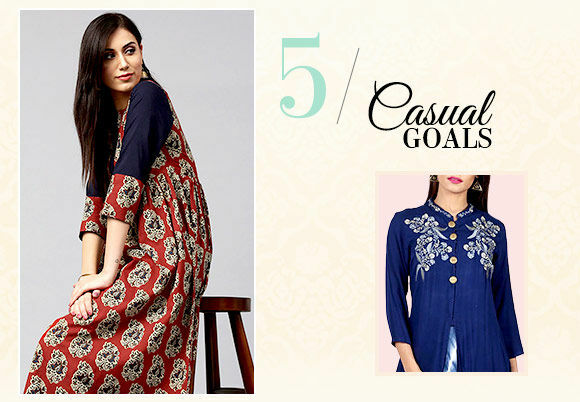 Our range of fuss-free, stylish Kurtas can be paired with any lower for great casual vides. You'll love the prints! 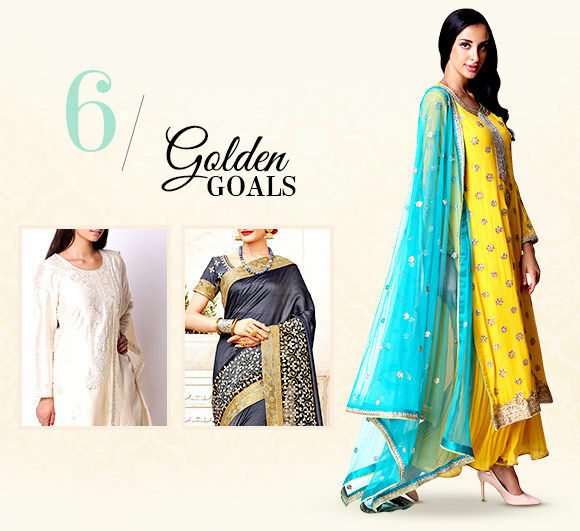 The small cut pieces of golden lace create beautiful motifs that can transform any attire, be it saree or salwar suit, lehenga or menswear. Flaunt Gota work in your closet. 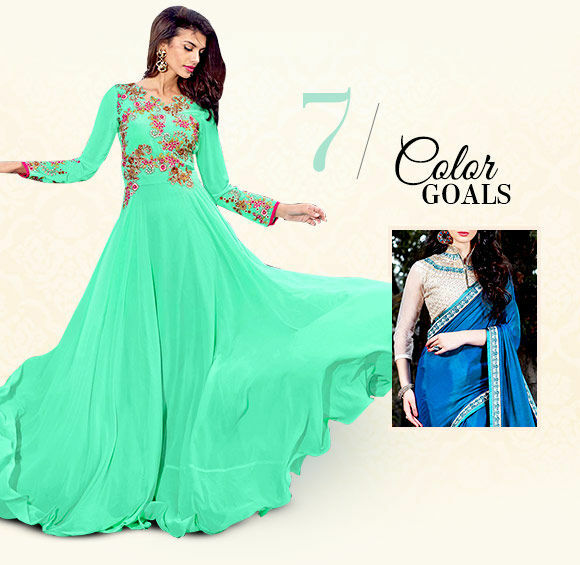 And when you want to be a festive heroine, just sway in Bright hues like Red, Yellow, Green, Pink and Orange. Our vibrant collection of neon pops is simply irresistible.